God is near death. The dimensions of Reality are collapsing. And The Infinite Definite, an amorphous gang of magick-wielding terrorists, has become even more powerful and effective in its mission of unleashing universal chaos. In the middle of it all are disgraced Watcher agent Robert Goldner, his mentally unstable new partner, Arkangel Ava Darden, and Cyrus Shahrooz, a rouge Heartland Security agent willing to do anything to establish his version of order. With Robert’s and Ava’s ability to manipulate the basic particles of light and travel between dimensions, and Cyrus’s connections in both the U.S. government and the underworld, the three work with and against one another to rescue society from a deepening nightmare. But when a terrible secret one of them harbors is revealed, it will change everything about the known universe and tip the balance once and for all. 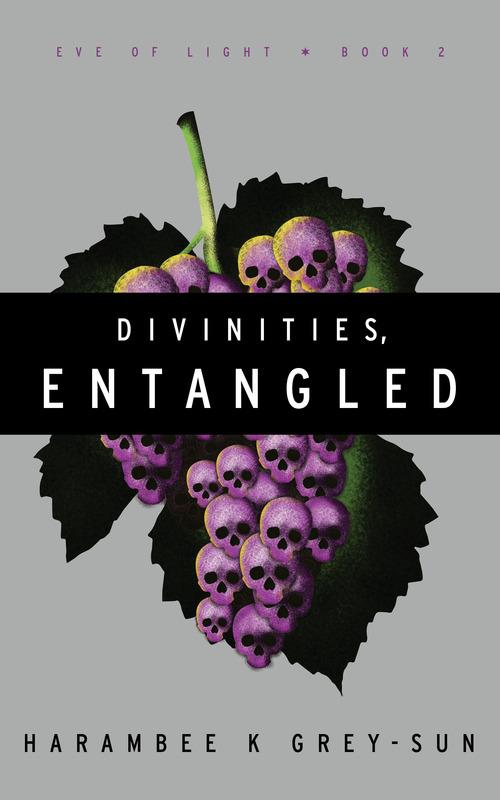 A metaphysical fantasy set in a contemporary but alternate America, Divinities, Entangled is Book II in the philosophical, surreal, genre-bending, and action-packed series Eve of Light.